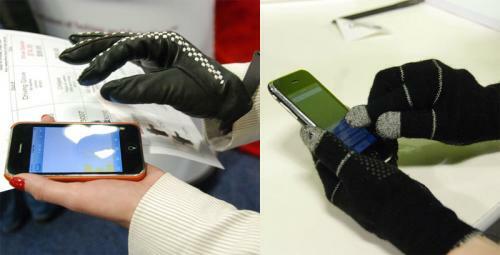 We really thought that Korean sausages era will be ended after the presentation of capacitive gloves on MWSF2010. But no such luck! They're back - reborn and improved! 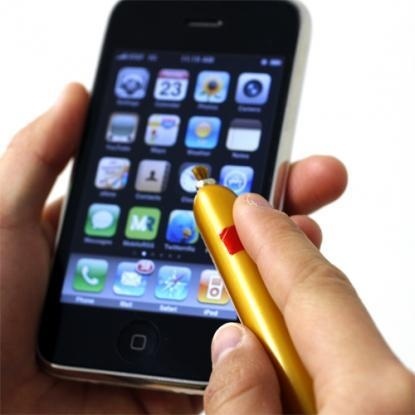 CaseCrown present a sausage-like stylus for only $0.99 (dropped from $3.99 regular price). 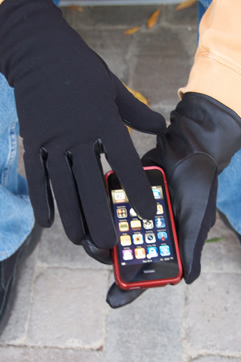 The product is compatible with any iPhone and allows you to keep your gloves on when it is cold outside. You can purchase it here. Free Pass for MWSF2011 Is Available! 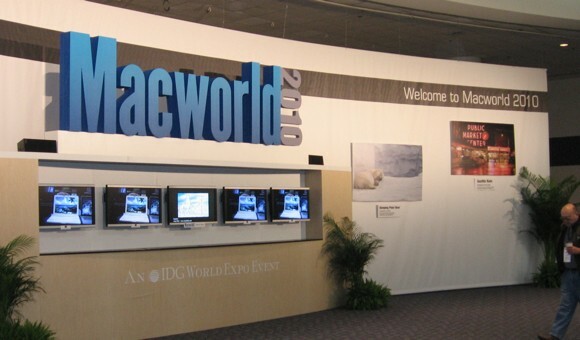 Less than a month has passed since MacWorld Expo 2010 was closed, and IDG World Expo already prepares for MWSF 2011 (which is announced to be on January 27-29 in Moscone Cetner West in San Fransisco). Today they announced a one-week free registration window for the show! All you need you do to take a free pass is to click here and fill in the information in the form. Enjoy! 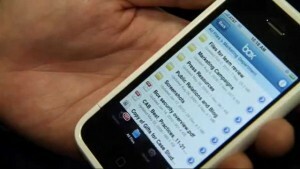 We're back on reporting about the apps and gadgets presented on the MWSF 2010. 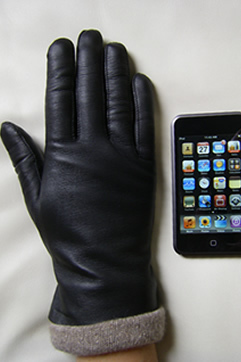 Now we'll talk about iV Plus - the solution to turn your iPhone into remote; FloTV - the service to watch TV in the USA; Square Up service to pay for everything you need only with your credit card and iPhone; and Wissair's USB DisplayDock Set will get the screen from your laptop to the HDTV-set wirelessly. 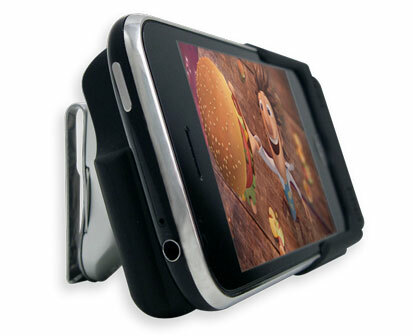 U-Socket turned to be out a very interesting solution, but FastMac was found to offer something more. The thing on the pictures below is called The iV Plus. It helps to manage a set of your home devices and consists of IR Remote, Battery Pack, Flash LED and case that wraps around the iPhone. 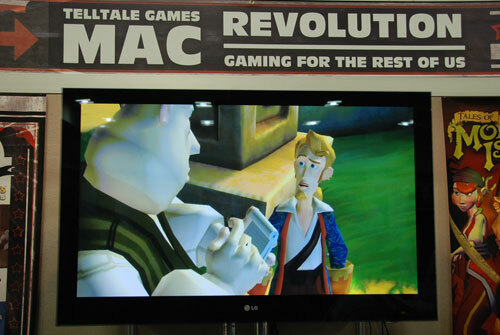 FastMac will also provide free Universal Remote software to work with this creation. 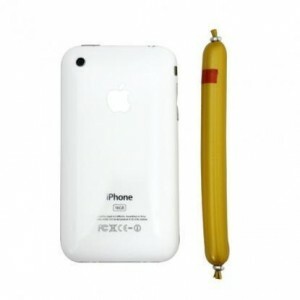 The iV Plus will be shipped expectedly in the second quarter of 2010 for $130. Microvision presented its laser pico projector SHOWXX, Moodagent creates a Genius like playlists, ScreenGuardz Privacy app can hide your information from the neighbour and Verbatim presented their new line of usb-drives with the size of a fingernail. Look further for the details. Laser pico projector SHOWXX designed by Microvision was presented on the MWSF. It has a size of the iPhone and costs US 500$. The picture shown by the device is so small that only one person can see it. 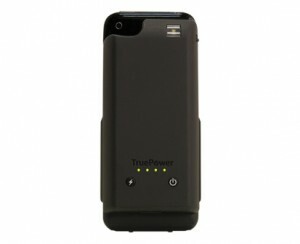 Moreover, the battery time is only 2 hours, which is obviously too short. We can only say the technology still needs to be improved so that it could be interesting for customers. Box.net finally presented its services to iPhone users, Other World Computing created the fastest SSD on the market, HyperMac offers a new line of batteries for Apple devices, and Blue Mikey Microphone is a new recording sound solution for iPhone. Box.net presented an iPhone app that connects to their services and allows quick accessing to all your stored files. Now you can also connect to the Box.net service with QuickOffice Connect Mobile Suite (US 9.99$). We can only imagine how comfortable it will be to use on iPad. 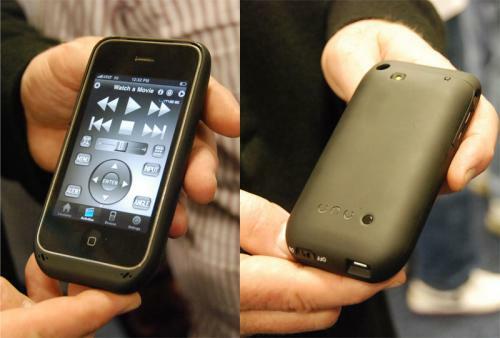 Other World Computing presented a few of their new products – USB 3.0 drive, new portable RAID array and (attention!) 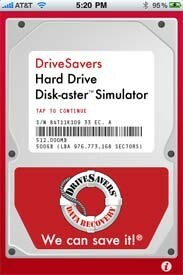 the fastest SSD on the market! 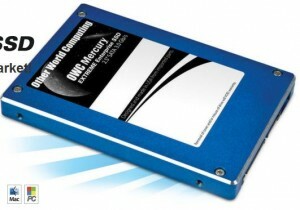 It’s called OWC Mercury Extreme Enterprise SSD and loads Adobe CS4 applications in seconds, which looks really amazing compared to slow 5400 rpm hard disks. We're continuing to cover news from the MWSF 2010, and this time the talk will be about MacSpeech Scribe app, MusicSkins accesories, Kanex adapter and CarMD device. 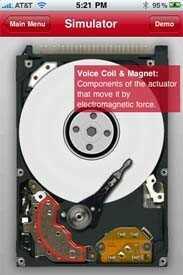 MacSpeech is known for its MacSpeech Dictate program that allows user to speak to Mac and wind up with formatted text. 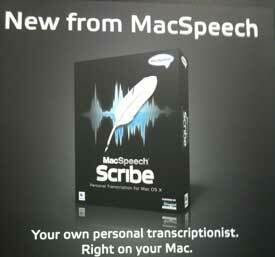 At the MWSF company released MacSpeech Scribe (US 149$), which turns recorded audio into RTF-files (that are readable by any word processor). It doesn't create text with punctuation and you have to train the program by correcting its mistakes, but with the Nuance engine from the previous app it looks really impressive. 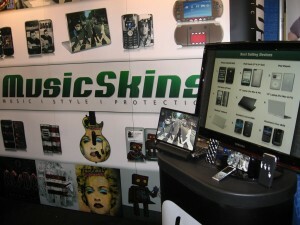 MusicSkins was also present at the MacWorld 2010. 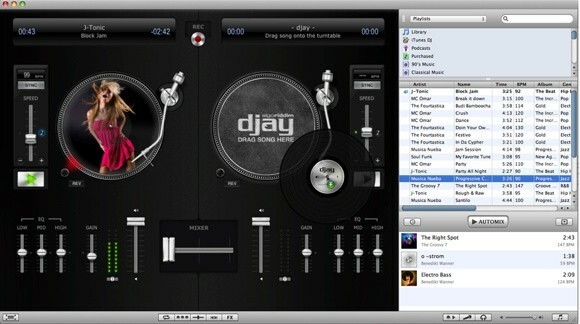 This time there were vinyl skins not only for Apple devices, but for any gadgets known (at least they say they add 5-10 devices to their roster per week). Company reps told us the accessories for the iPad are also ready to be printed, but before it’ll go to the market they want to make sure their production will work well and fit correctly to the device. 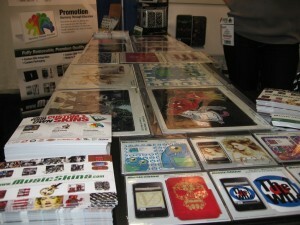 At this moment skins for iPod and iPhone (US 15$) and for the Macbook (US 30$) are available.